The 40th anniversary issue is not available online or for purchase outside Curry. So, I took some photos of the issue for you to see. Have a look! 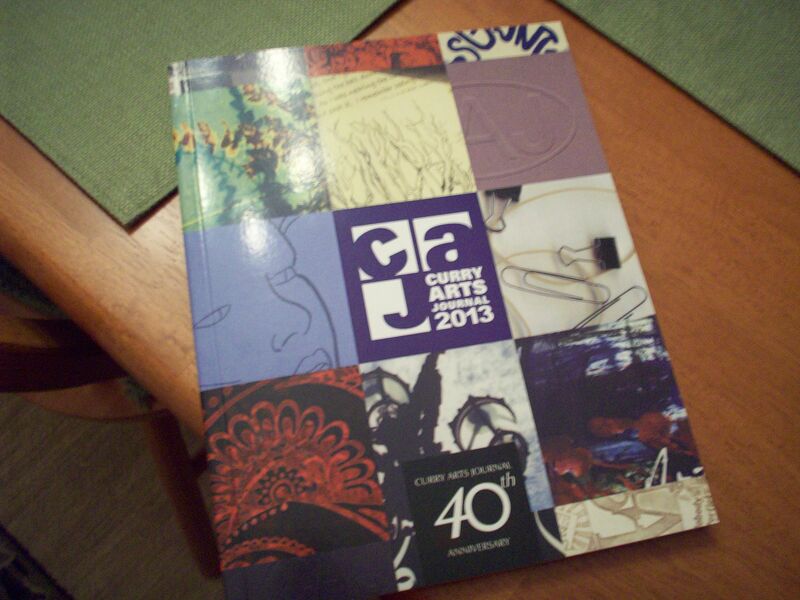 The cover of the 40th anniversary issue of the Curry Arts Journal. 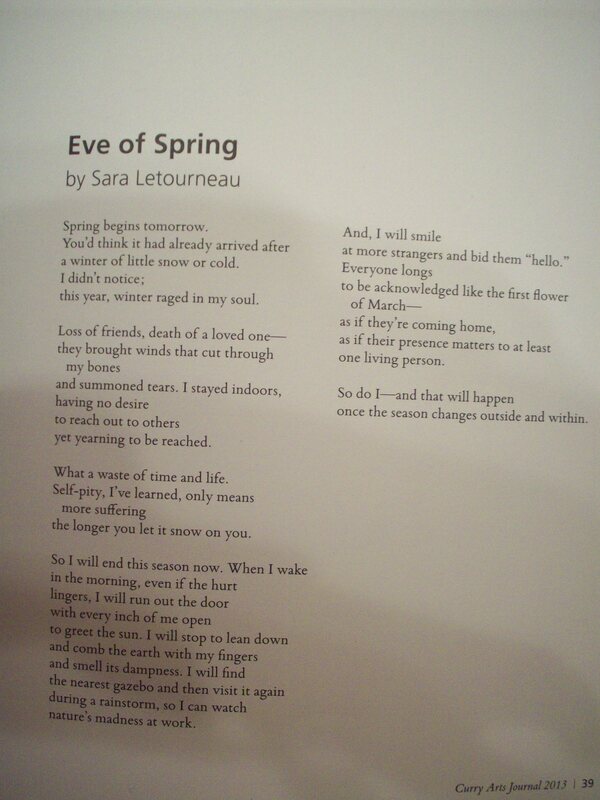 My poem “Eve of Spring,” as printed in the 40th anniversary issue of the Curry Arts Journal. 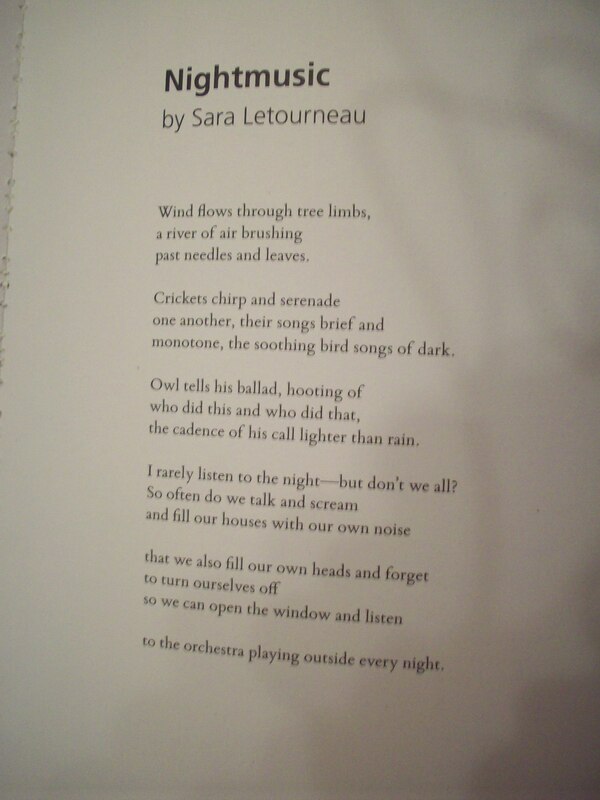 My poem “Nightmusic,” as printed in the 40th anniversary issue of the Curry Arts Journal. 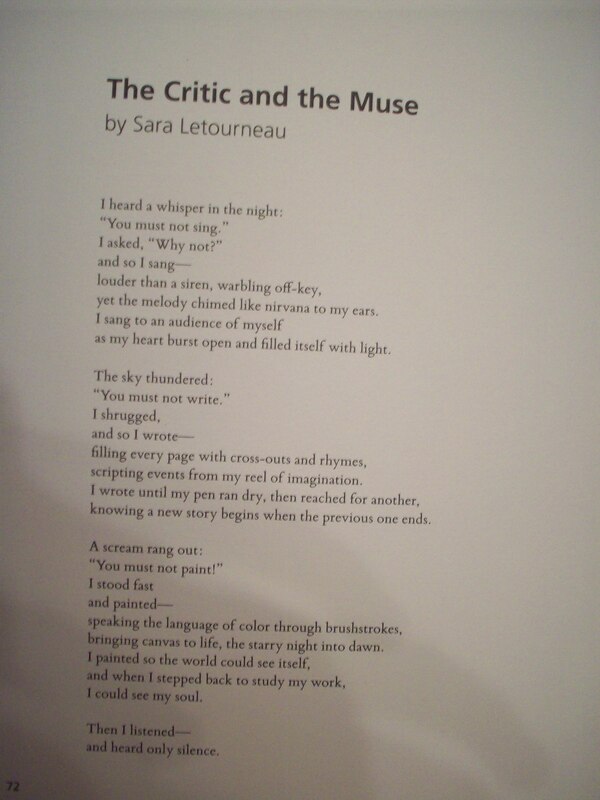 My poem “The Critic and the Muse,” as printed in the 40th anniversary issue of the Curry Arts Journal. The Curry Arts Journal staff is also uploading the pieces published in the 40th anniversary issue onto their website. Once my poems are online, I’ll share the links with you here. Coming Soon: My review of Ayreon’s The Theory Of Everything should be online at Sonic Cathedral next week.